Fancy something different? 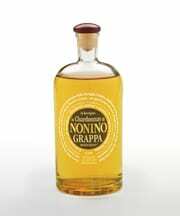 Here are some great alternative cocktails using Grappa as the main spirit – the recipes are based on Nonino products; however, if you wish to replace it with another high-quality Grappa make sure you get the correct grape variety as the flavours can be very different. Pour the Nonino into a flute and top up with the bubbles. Pour the Grappa over ice, squeeze in fresh lemon and add tonic. Garnish with lemon wheel. Previous Entry Grappa – Moonshine or Just Fine?